The legendary burial ground of millions of unsold copies of E.T. 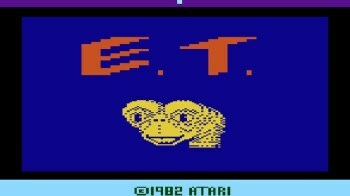 : The Extra-Terrestrial for the Atari 2600 is going to be dug up - if it can be found. The burial slowly faded into obscurity and eventually became something of an urban legend, and even the precise location of the dump site was lost, in part because Alamogordo was appalled by the sheer volume of crap being poured into it and put a halt to the practice. But as so often happens, the fading of memory was followed by the growth of curiosity, and earlier this week Alamogordo approved the excavation of the site by a Canadian-based film company, Fuel Industries, which wants to produce a documentary on the "Alamogordo landfill legend." The challenge of locating the dump site has apparently been met by Joe Lewandowski, who ran a garbage company at the time of the E.T. dump and claims, Commander Adama-like, that he knows where it is. With Lewandowski pointing the way, Fuel Industries has six months to find and dig up the site, a span of time that will cover the 30th anniversary of the burial. And while Alamogordo was less than thrilled with the scale of the event when it happened, it now hopes that some good will come of it. "I hope more people find out about Alamogordo through this opportunity that we have to unearth the Atari games in the landfill," Alamogordo Mayor Susie Galea said. Even if the excavation is successful, the odds of finding intact E.T. cartridges are extremely slim, as they were all reportedly crushed before being trucked to the dump. And a big part of me hopes that it ends in failure regardless; as exciting as the prospect of discovering such a historically significant location (in videogame nerd terms) may be, there's something romantic about knowing, or at least believing, that somewhere out there in the vast desert are the buried remains of millions of copies of one of the most notorious videogames of all time, a game of such dark portent that it almost killed the videogame industry that now pervades nearly all aspects of our society. It's a good legend, and one of the few that's truly our own - and I'm not sure I want to see it brought to an end.